Explanation of a short sale addendum. How a short sale addendum can protect and / or hurt a short sale buyer. Why sellers and buyers may want to sign a short sale addendum. Short sale contract cancellation. How a seller can cancel your short sale contract and either take the home off the market or sell the home to a different short sale buyer. How Long Should I Wait for My Short Sale Offer? How long should a buyer wait for a short sale offer to be approved by the bank? Approximate length of time for banks to respond to short sale offers. Why some short sale approvals are delayed. How Can I Get Multiple Offers on My Short Sale? How to attract multiple short sale offers. 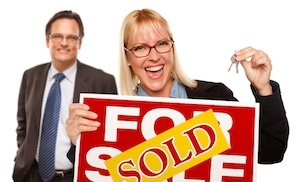 Getting buyers to bid up the price of your short sale home. Why you want multiple offers on your short sale listing. How to figure out if buying that short sale house will work. Questions to ask the short sale listing agent, and how to research the home’s history before writing a short sale offer. How some short sale sellers can end up paying taxes on canceled debt. Plain-language advice?for owners doing a short sale on how to sidestep pitfalls and taxation from canceled debt or forgiven debt. How to figure out how much your short sale home is worth on the market. Pricing your short sale home to quickly sell and sell at a price acceptable to your lender. 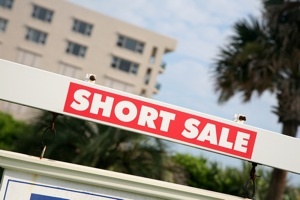 Top 7 mistakes made by short sale sellers, and why some short sales are doomed from the start. How to find a short sale listing agent. Why it’s more important to hire an agent with short sale experience than a neighborhood real estate agent to sell your home on a short sale. Should We Stop Making Mortgage Payments to Do a Short Sale? Should sellers stop making mortgage payments to do a short sale? Ramifications and consequences of not paying a mortgage while attempting a short sale. Definition of deficiency judgment. How deficiency judgments are obtained after a foreclosure or a short sale. Collection attempts for a deficiency judgment. Negotiating payoffs. Tips for staging a short sale home. Ryan Brown, star of Bravo TV’s Flipping Out, shares insider secrets with Elizabeth Weintraub about how to stage a short sale home. How to negotiate with banks on a short sale. Tips for getting the bank to accept a short sale offer. Reasons behind a bank’s rejection of a short sale. Why short sales are most often turned down by banks and mortgage companies. How to increase the odds a lender will accept a short sale. How to find an REO or Short Sale Buyer’s Agent. Cut to the chase and hire the most experienced REO / Short Sale buyer’s agent by following these tips. Don’t buy an REO or Short Sale home without hiring a real estate agent with a successful track record. Is It Better To Buy a Short Sale or Wait for the Foreclosure to Happen? Buy a short sale or wait for the foreclosure to happen, which is better? Foreclosure home prices (REOs) can be cheaper than a short sale price. If you are trying to decide between waiting for the bank to obtain title through foreclosure or negotiating a short sale upfront, here is what you need to know. Reasons to choose a short sale instead of a foreclosure. Differences between short sales and foreclosures and why a short sale could be preferable to foreclosure. How Can I Find Short Sales? How to find short sales online and in MLS. Secret words that identify short sale listings. How agents advertise short sales. Why buyers may pay more for a short sale. 11 drawbacks to buying short sales. 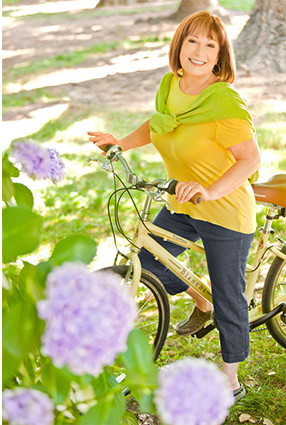 The hype surrounding short sales and why buyers should use caution. Will a Short Sale Ruin Credit? Will a short sale ruin your credit rating? What is better: a short sale or a foreclosure? Length of time before a home owner can buy another home after a short sale or foreclosure. Mortgage defaults affect home values. Nearby homes often feel effect of foreclosures, especially if many foreclosures have been filed. How to help an appraiser use the right comparable sales when selling a home in a neighborhood faced with recent foreclosures. The effect of subprime mortgage loans and subprime lenders on real estate. What are subprime loans? How does the crash of the subprime lending market affect borrowers? Home sellers’ tax obligations on foreclosures and short sales. Distressed sale tax consequences. Sellers might owe taxes even when taking a loss and letting homes go into foreclosure or selling on a short sale. Buying short sale homes from a seller without an agent. For sale by owners in pre-foreclosure. How to negotiate with an unrepresented seller and the bank to buy a home in foreclosure. How Soon Can We Buy a Home After a Foreclosure or Short Sale? After a short sale or foreclosure, how long must you wait before you can buy a home again? These guidelines set forth the waiting period for home buying after a foreclosure, short sale or deed-in-lieu-of. Foreclosures, short sales and REOs: differences. Buying distressed properties under market value. Which is more profitable for a buyer — short sales, foreclosures or real-estate-owned (REO’s)? How CA law and the Home Equity Sales Act affects the purchase of homes in foreclosure.